Collins, Ellen and Stone, Graham (2014) Understanding patterns of library use among undergraduate students from different disciplines. Evidence Based Library and Information Practice, 9 (3). pp. 51-67. Stone, Graham and Collins, Ellen (2013) Library usage and demographic characteristics of undergraduate students in a UK university. Performance Measurement and Metrics, 14 (1). pp. 25-35. Stone, Graham and Ramsden, Bryony (2013) Library Impact Data Project: looking for the link between library usage and student attainment. College and Research Libraries, 74 (6). pp. 546-559. Showers, Ben and Stone, Graham (2014) Safety in Numbers: Developing a Shared Analytics Service for Academic Libraries. Performance Measurement and Metrics, 15 (1/2). pp. 13-22. For more information on LAMP, check the project blog out. We are just finalizing a chapter for a forthcoming Facet publication, the following section didn’t make the final cut, but we thought we would reproduce it here for anyone interested. The literature shows an interest in the relationship between library use and undergraduate attainment stretching back to the 1960s and 1970s (Barkey, 1965; Lubans, 1971; Mann, 1974), however, until recently literature reviews looking into this area have found little evidence of more research until the last few years. Some studies have investigated the relationship between university library usage and undergraduate student outcomes (De Jager, 2002a; De Jager, 2002b; Emmons and Wilkinson, 2011; Han, Wong and Webb, 2011), however, all lack information on electronic resource information use, De Jager points out that further investigation is necessary to discover where electronic resources play a part in achievement. Additionally, recent research has considered the relationship between library value and impact on research and learning (Oakleaf, 2010; Tenopir and Volentine, 2012). These studies have found that the library supports key academic research activities and thus can be considered to make a vital contribution to university value. Over the past few years’ more detailed research on ‘library analytics’ has been gathered in the UK, US and Australia; Huddersfield (Stone, Pattern and Ramsden, 2012; Stone and Ramsden, 2013; Stone and Collins, 2013; Collins and Stone, 2014), Wollongong (Cox and Jantti, 2012; Jantti and Cox, 2013) and Minnesota (Soria, Fransen, and Nackerud, 2013; Nackerud, Fransen, Peterson and Mastel, 2013). These three projects have all independently suggested a correlation or statistical significance between library usage – e-resources use, book loans and gate entries – and student attainment. It is important to note, however, that this relationship cannot be considered a causal one. The advantage of a more data driven approach over surveys (Chrzatowski , 2006, Whitmire, 2002) is that data can be captured for every student in an institution, or across institutions, which removes the issue of low survey return rates and potential bias in survey responses or interpretation. Another benefit of using linked data from student registry systems is that far more information can be interpreted, for example demographic characteristics and discipline in addition to degree classifications and grade point average. Student retention can also be investigated using this data. With regards to research into demographic data in academic libraries, a number of studies have been undertaken in the United States (Whitmire, 2003; Jones, Johnson-Yale, Millermaier and Perez, 2009; Green, 2012). Of the more analytics driven studies, Cox and Jantti (2012) reported on gender and age differences. Many of the more recent studies have also looked at discipline, in some cases producing consistent finding, for example, arts and humanities are usually found to be the biggest users of physical library materials (De Jager, 2002a; Maughan, 1999; Whitmore, 2002) and many studies have found engineering students to be the least engaged library users across resources (Kramer and Kramer, 1968, Bridges, 2008 and Cox and Jantti, 2012, Nackerud et al, 2013). The references included here can be in the bibliography of library analytics maintained by this blog. With thanks to Diane Costello (Executive Officer, CAUL – Council of Australian University Librarians) and Judy Luther (www.informedstrategies.com) for the suggestion, we have put together a Library analytics bibliography page based on articles we have consulted as part of LIDP. There is also an excellent new set of resources at CAUL including bibliographies on return on investment and value of libraries; the value and impact of university libraries and library data & text mining. Earlier this month Jisc published a paper on activity data, featuring 6 case studies including LIDP. ‘Activity data’ is the record of human actions in the online or physical world that can be captured by computer. The analysis of such data leading to ‘actionable insights’ is broadly known as ‘analytics’ and is part of the bigger picture of corporate business intelligence. In global settings (such as Facebook), this data can become extremely large over time – hence the nickname of ‘big data’ – and is therefore associated with storage and management approaches such as ‘data warehousing’. This executive overview offers higher education decision-makers an introduction to the potential of activity data – what it is, how it can contribute to mission-critical objectives – and proposes how institutions may respond to the associated opportunities and challenges. These themes and recommendations are explored in further detail in the supporting advisory paper, which draws on six institutional cases studies as well as evidence and outputs from a range of Jisc-supported projects in activity data and business intelligence. What should be our focus for future work on the LIDP? We are drawing to a close with Phase II of the LIDP, so naturally our thoughts are turning to what we would like to do with the data we have accumulated from the first two phases at Huddersfield. What would Phase 3 look like? In order to help us to focus on the areas we need to look at going forward, we held an event for Computing and Library Services staff and the Pro-Vice Chancellor for Teaching and Learning on 9 November. 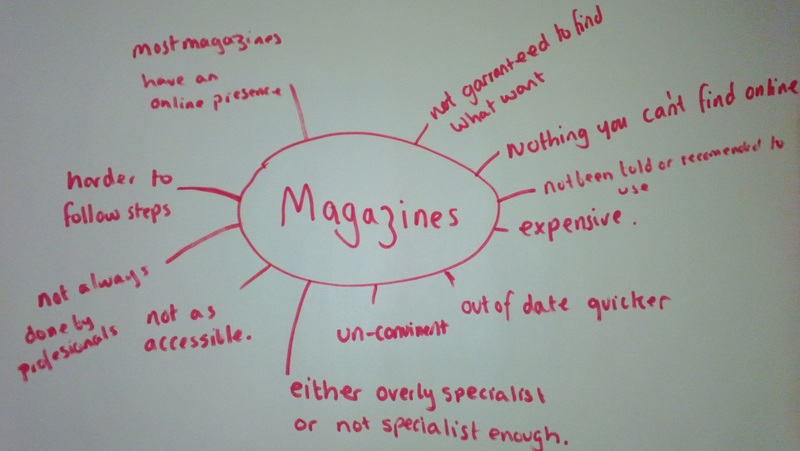 The first half looked at what we had achieved so far – thanks to Ellen for an excellent presentation looking at some of our previous blogs – and some really cool new findings, which we will be blogging about very soon! How can LIDP be utilized to help increase student retention at Huddersfield? The data shows that there is a statistical significance between library usage and retention – although this is clearly not cause and effect, it does mean something and adds to our arsenal of ways of flagging up possible retention issues. We need to get better data at subject level rather than the general view we have at the moment. We also need to get longitudinal data to see if usage changes over time – a sudden drop could indicate a potential problem? Finally, we need to get live data, both phases of LIDP took 4 months to analyse the data to give results for a single point in time – live data would add great value to a retention dashboard. How do we engage academic staff? What are the mechanisms to deliver a step-change? We can show clearly evidenced work on what we have already done, but how do we get to the value-added bit at the end? We need to create a series of briefing papers for specific subject areas that shows the evidence we in areas that relate specifically to academic staff. We need to build relationships and look to move library contact time away from the first term to the point of need – of course we’ve known this for a while, but we still get booked up in the first term for inductions, with further engagement we can move sessions to suit the student using the data we have. Is low usage appropriate in some areas? We have found that usage is low in areas such as Art and Design and Computing and Engineering. Is this OK? We need to come up with a way to measure this and target the areas of need to find out why? Is low use acceptable, or are the resources inappropriate? Do our results show us that we have an issue with certain groups of overseas students and usage – or do they just work in different ways to European students – are they actually working in groups, which might account for lower usage? Anecdotal evidence says they maybe. What data should we offer in future? We need to offer two sets of data, one to look at improving retention, the live dashboard approach, and one to look at adding value to the student experience. We need longitudinal data to look at usage over time and also yearly stats so that we can start to benchmark. We also need to discriminate between years of study so that we can look for patterns. The use of e-resources has worked as a broad indicator, we always said it was a fairly rough measure, we need to add some evidence based practice to this, e.g. have interventions made a difference? Which areas do we prioritise? Do we look at the NSS scores? Overseas students? Specific subjects, such as Computing and Engineering? We need to develop a strategy moving forward, we also need to get the live data. This is an area that needs to be developed, possibly using the Wollongong model (Brian Cox and Margie H. Jantti, “Capturing business intelligence required for targeted marketing, demonstrating value, and driving process improvement”, Library and information science research, vol.34, no.4 (2012): 308-316. doi: http://dx.doi.org/10.1016/j.lisr.2012.06.002) and open source software? Additionally, we need to do more work integrating our MyReading project – academics need to give out clearer guidance for reading, essential, recommended, additional etc. so we can monitor usage, non-engagement and follow up some of our finding about the impact of wider reading. We now have a complete list of publications from Phase I of the project, which took place from January-July 2011. The College and Research Libraries article is now the definitive article for Phase 1 and would be the best one to cite if you feel that way inclined! We hope to publish at least two papers on Phase II in 2013. Lemontree is designed to be a fun, innovative, low input way of engaging students through new technologies and increasing use of library resources and therefore, final degree awards. 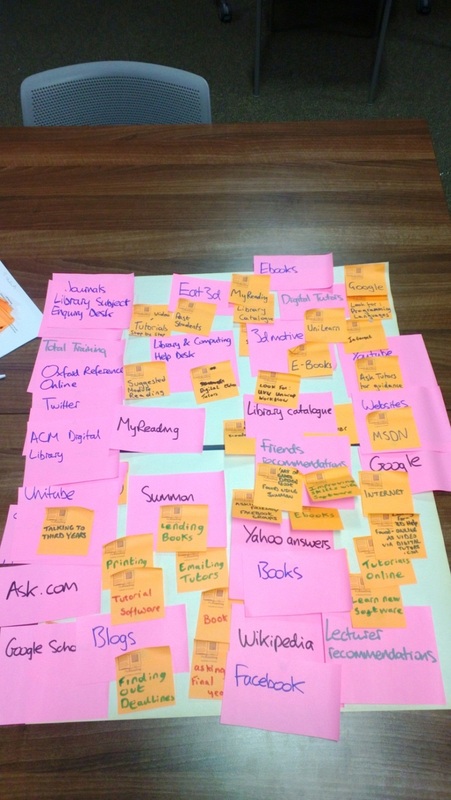 The project aims to increase usage of library resources using a custom social, game based eLearning platform designed by Running in the Halls, building on previous ideas such as those developed at Manchester Metropolitan University to support inductions and information literacy and uses rewards systems similar to those used in location based social networks such as Foursquare. Lemontree has slowly grown its user base over the first year of operation, finishing the academic year with 628 users (22nd May 2012), with large numbers registering within the first few weeks of the academic year 2012-2013 (over 850 users registered by 5th October 2012). This gives us a solid base from which we can identify active Lemontree users who will be attending university for the full academic year 2012-2013. Lemontree currently offers points and awards for entering the library, borrowing and returning books and using online resources as well as additional social learning rewards, such as leaving reviews on items borrowed. The rewards are deliberately in line with the types of data we analysed in the first phase of LIDP. We have seen healthy engagement with Lemontree with an average of 74 “events” per user in the first year, with an event being an action that triggers points awarding. At the end of this academic year, we will identify those users registered for the full year and extract usage statistics for those students. Those who registered in their second or third years of studies will have their usage statistics compared to their first year of study, to see if engagement with Lemontree impacted on their expected levels of library usage. For those students registered at the start of their first year, we will investigate whether active engagement with the game layer has an impact compared to similar groups of students, such as course, UCAS points, etc., to see if early intervention using gamification can have an impact throughout a student’s academic course. Both LIDP and the CoapcAD undertook to investigate the feasibility of national shared service for data analytics services. 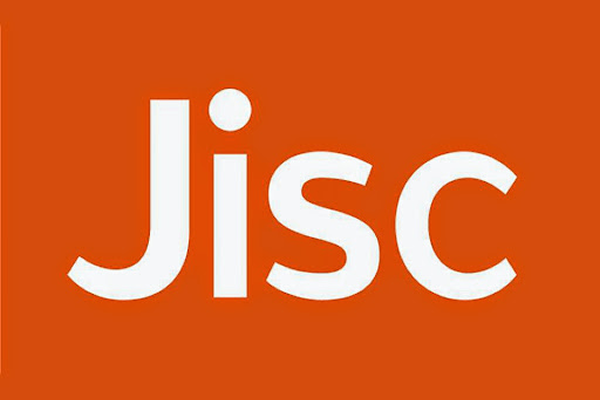 On behalf of JISC, we have got together with Mimas to undertake this preliminary survey to understand potential demand for data analytics services, which can enhance business intelligence at the institutional level and so support strategic decision-making within libraries and more broadly. Both projects envision a shared service that centrally ingests and processes raw usage data from different systems and provides analytics tools and data visualisations back to local institutions. The survey is open until October 18th 2012 and should take approximately 15 minutes to complete.